Abdel-Kader Keïta (born 6 August 1981) is an Ivorian professional football player who played as a winger. Keïta represented the Ivory Coast national football team from 2000 to 2012. Keïta (left) during a Qatari league match. He has an older brother called Fadel Keïta, who is a former Ivorian international. Keïta, also known as 'Popito', began his career at homeland club Africa Sports, before moving on to Tunisian Club Etoile du Sahel. Following spells in United Arab Emirates with Al Ain and Qatar with Al Sadd, he moved to France with Ligue 1 club OSC Lille in 2005. On 31 May 2007, Lyon chairman Jean-Michel Aulas revealed that the club had made bids for both Keïta and his fellow club-mate Mathieu Bodmer. On 16 June 2007, Lyon confirmed the signing of Keïta from Lille for €18 million, with Bodmer also moving to Lyon. During his two seasons at the club, he made 52 appearances in all competitions, scoring 5 goals. On 2 July 2009, Galatasaray officially announced that Keïta joined the Turkish club and signed a three-year contract, for €8.5 million transfer fee plus €500,000 variable. He scored his first goal for Galatasaray in a Europa League qualification match against Maccabi Netanya in the 5th minute. On 12 December, Keïta scored for Galatasaray in a 3–2 victory over Antalyaspor. On 18 February 2010, Keïta scored a late equalizer to secure a 1–1 away draw for Galatasaray against Atlético Madrid in the Europa League. Later, in the second leg he equalized again to make it 1–1, but Galatasaray failed to qualify. On 28 February, he scored the second and fourth goals in a 4–1 victory over Kasımpaşa. His first goal was a volley from just inside the penalty area. In Galatasaray's 3–0 victory over MKE Ankaragücü in March, Keïta scored the second goal as well as assisting the final goal. On 11 April 2010, he assisted two of Milan Baroš' goals in a 4–1 victory over Diyarbakırspor. A week later he scored the first goal in a 1–2 victory over Manisaspor. Keïta rejoined his previous club Al Sadd SC in July 2010 for €8.15 million. 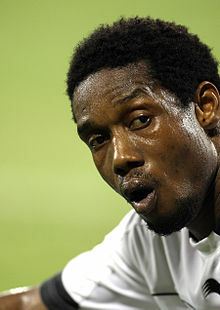 Keïta was involved in a melee which ensued on 19 October in the 2011 AFC Champions League semi final first-leg between Suwon Samsung Bluewings and Al Sadd. Suwon player Choi Sung-Hwan was inadvertently kicked in the head by an Al Sadd defender, and Suwon's Yeom Ki-hoon let the ball out after Choi Sung-hwan went down with a head injury inside Al Sadd's box. While Choi was being tended to by medics, Keïta took the free kick quickly, and passed it to teammate Mamadou Niang unknowingly to the Suwon defense who thought possession would be returned to them according to FIFA fair play rules. Niang sprinted down the center half past the goalkeeper to score a second goal for Al Sadd. The chaos was further elevated when a Suwon fan ran onto the pitch, causing a brawl to erupt between the two teams. Afterwards, Keïta received a red card, allegedly for running towards the fan, slapping him in the back of the head and grabbing him by his throat. His teammate Lee Jung-Soo had told the press that Keïta had apologized for assisting Niang in scoring the goal, and admitted it was wrong. Al Sadd's coach, Jorge Fossati, suggested that Al Sadd was annoyed that Suwon had not immediately put the ball out of play, and decided to take actions into their own hands. Keïta was later suspended by AFC for the return leg. Keïta scored a goal in the AFC Champions League Final on 5 November, as his side defeated Jeonbuk Motors on penalties after the match ended 2–2 and was named as Man of the Match. He left the team at the end of the 2011–12 season, and was linked with several teams in England and stated his interest of playing in the Premier League. Keïta had a distinguished international career with 72 caps for the Ivory Coast, representing the team at the 2006 FIFA World Cup, 2010 FIFA World Cup and at four Africa Cup of Nations in 2002, 2008, 2010, and 2012, helping them finish runner-up in 2012. Keïta was selected for 2010 African Nations Cup and played three matches, scoring once against Algeria during the quarter-final match. During the 2010 FIFA World Cup in South Africa, Keïta was involved in an off-the-ball incident with Kaká during a group game against Brazil. Keïta ran into Kaká and fell onto the floor, clutching his face, as if in great pain. Kaká was shown a yellow card, his second of the match, and sent off. ABC wrote "Abdul Kader Keïta's embarrassing reaction to a love-tap in the midriff from the Brazilian playmaker was both laughable and disgraceful. Obviously hoping to get Kaka in further hot water after he had only just earlier been shown his first yellow card, Keïta fell to the ground and clutched his face as if he'd been shot from close range. He blatantly cheated to ensure the Brazilian was given his marching orders." The incident has been named by numerous journalists as among the most shameful in the World Cup and was called "disgraceful" by the sports announcer," and Keita's actions named in the ten worst moments of the World Cup. Keita was named to the 2010 World Cup "Infamous 11" as one of the all-around worst sportsmen in the tournament. Abdul Kader is the younger brother of Fadel Keïta who is also a former professional footballer and Ivorian international. ^ "Soccer – Lyon sign Lille players Bodmer and Keïta". Reuters. 16 June 2007. Retrieved 29 May 2013. ^ "Abdul Kader Keïta leaves Lyon for Galatasaray". USATODAY.com. 2 July 2009. Retrieved 29 May 2013. ^ "Galatasaray Profesyonel Futbol Takımı oyuncumuz Abdul Kader Keïta'nin avro8.150.000 bedelle Katar AL SADD S.C. Kulübüne transfer olması". Turkish Public Disclosure System (KAP) (in Turkish). 6 July 2011. Retrieved 23 September 2011. ^ "Asia shamed by showpiece brawl". ESPNFC.com. Retrieved 26 March 2018. ^ "Jeonbuk Motors vs. Al Sadd - Football Match Report - November 5, 2011 - ESPN". ESPN.com. Retrieved 26 March 2018. ^ Gourizo, Giscard (3 December 2012). "Ivory Coast winger Abdul Kader Keïta is keen on a move to the Premier League". Sky Sports. Retrieved 29 May 2013. ^ "Game's credibility taking a dive". Australian Broadcasting Corporation. 22 June 2010. Retrieved 22 June 2010. ^ "2010 World Cup's Most Shocking Moments #25: Kaka Red Card". Retrieved 13 May 2014. ^ "Ten Worst Moments of the 2010 World Cup". Retrieved 13 May 2014. ^ "Picking a World Cup 2010 Infamous Eleven". The Roar Your Sports Opinion. 17 July 2010. Retrieved 13 May 2014. ^ Yaméogo, Guy-Florentin (7 December 2011). "France (Lille): La nouvelle vie de Fadel Kéïta". news.abidjan.net/ (in French). Retrieved 5 March 2019.